The more people travel, the higher the demand for new travel accessories. There’s a lot of fluff out there and items that may seem genius at first can end up being a waste of money as they never really fit with practical packing or traveling. 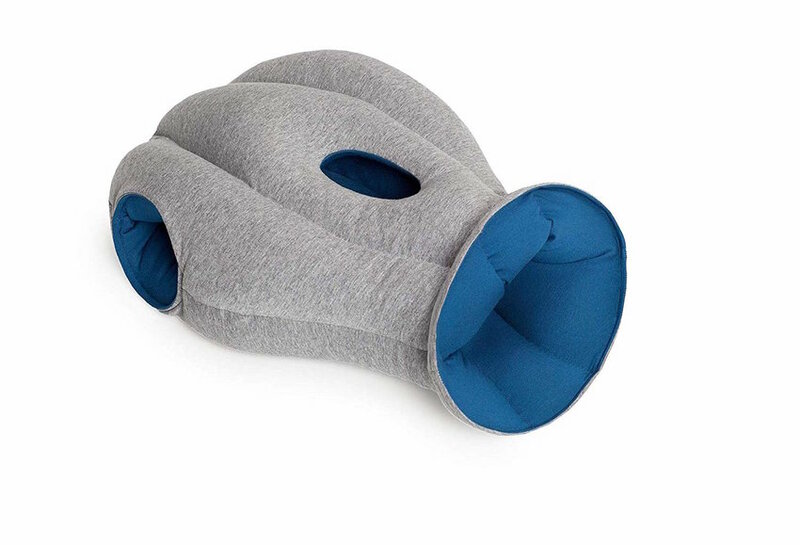 We’ve reviewed the newest travel accessories and brought you five of the most useful, functional, and fun accessories that every traveler should have this spring. We use our phones for everything these days - including taking vacation photos. New generation phones are so hi-tech that many brag their phone cameras are better than the traditional version. With different lens attachments, this boast just got more difficult to deny. We can already easily filter and edit like a pro on our phones. 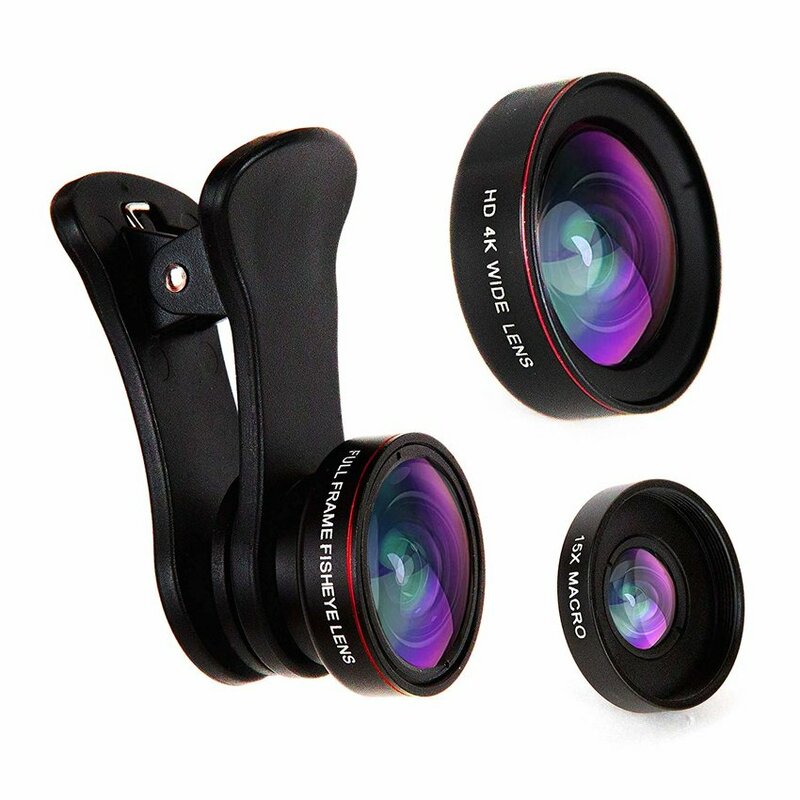 With these clip-on lenses from Empire of Electronics, we can now obtain the fisheye, wide angle, and macro effect. At just $20 for all three, you may think these lenses are too cheap to take quality photos. But with excellent reviews and a money back guarantee, there’s no risk. We also like Moment’s lenses with their 12-month warranty and top-quality imaging results. Get snapping! Welcome to the future. Snap Inc. is going above and beyond when it comes to stylish techie toys. 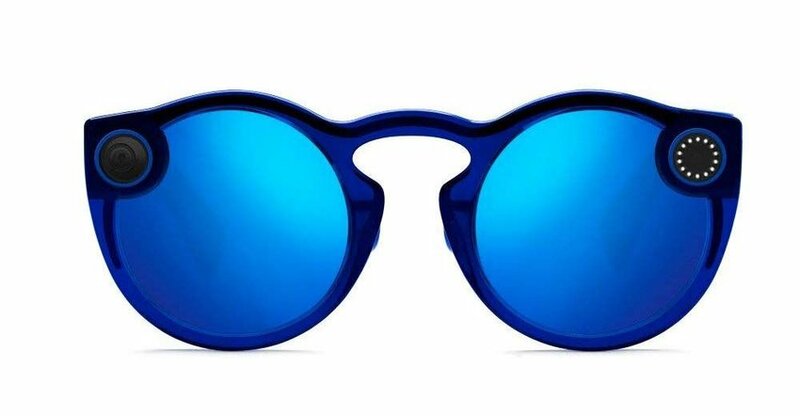 These video-recording and picture-taking sunglasses allow users to capture 10-40 second video clips or a quick snap of exactly of what’s going on in the moment - with just the press of a button. No more grappling for your phone when you see something awesome going down - if you’ve got these glasses, all you need to do is hit “play.” The glasses sync with your phone and enable you to share your stream and pics to SnapChat. Don’t think for a minute you’re sacrificing video quality either; the glasses record in HD and have the ability to capture video in full circle format. Six different colors and styles keep you looking cool while you record and share memories in actual time. Travel often includes early mornings or late nights as you adjust to a new timezone or battle fatigue after a long day of travel. And while many destinations might have their own selection of premium roasts to choose from, paying for an espresso every morning might start to add up. 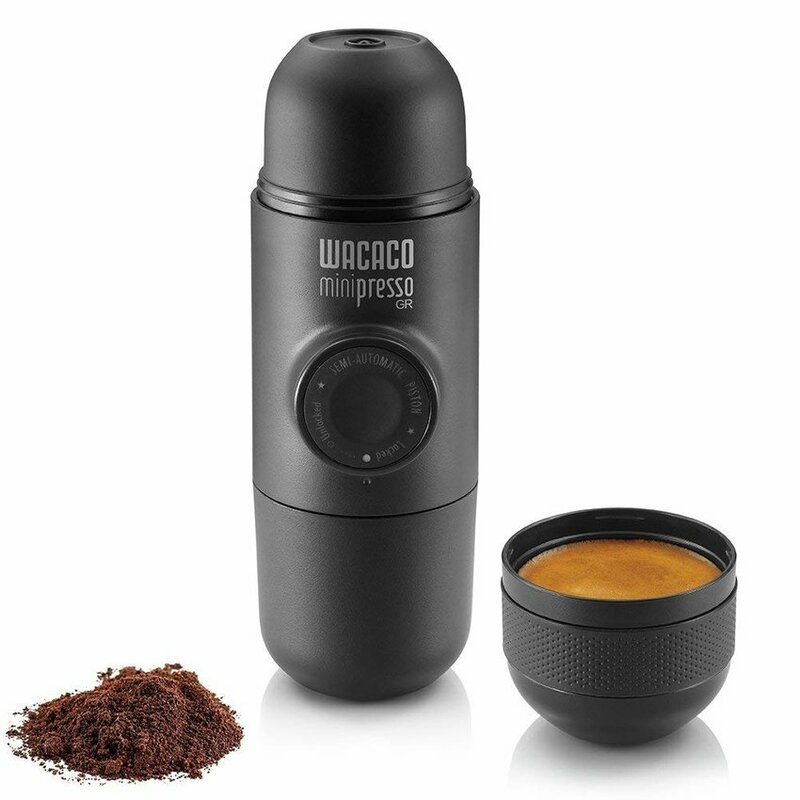 This mini portable espresso maker is just the ticket for caffeine-deprived travelers who need a little boost, no matter where they roam. Protecting the environment is at the forefront of every world debate these days, and rightfully so. Ditching one-time use plastics has a major positive effect on the world. More and more people are trading in their daily water bottle purchase for reusable and refillable ones. Traveling with a hard-sided bottle can definitely be a drag - especially if it’s empty and you’ve got nowhere to fill it up. Instead of quenching your thirst, it takes up space in your luggage. 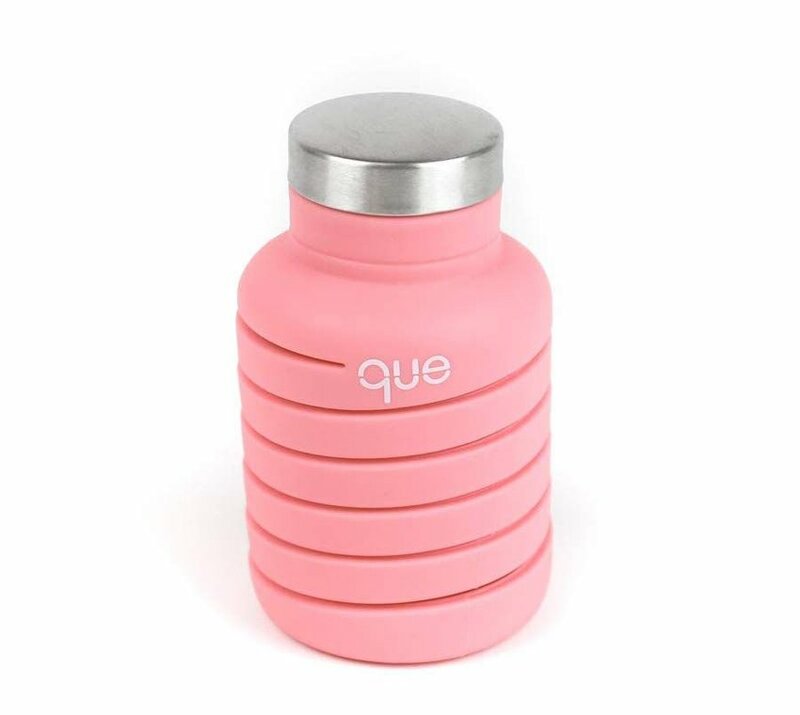 Enter: the collapsible water bottle from que. Made from medical-grade quality silicone, this bottle easily reduces to 4.8 inches tall. It’s also dishwasher safe, extremely durable, and leak-proof. All your traveling hydration problems: solved.